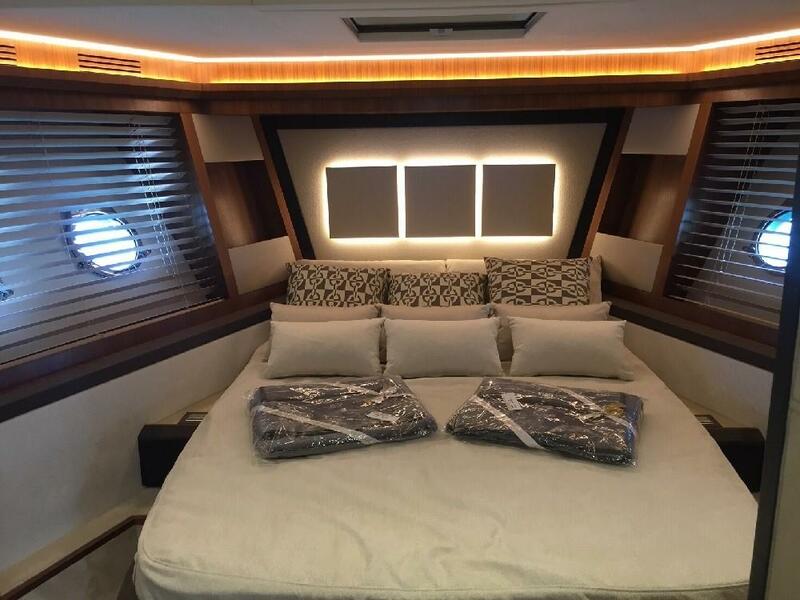 MONTE CARLO YACHTS 65, 2017. 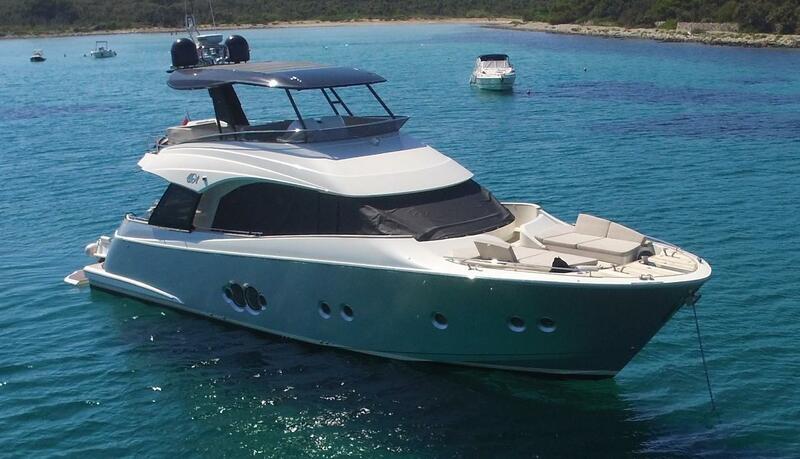 Luxury Motor Yacht with twin MAN 1,000hp diesel engines. 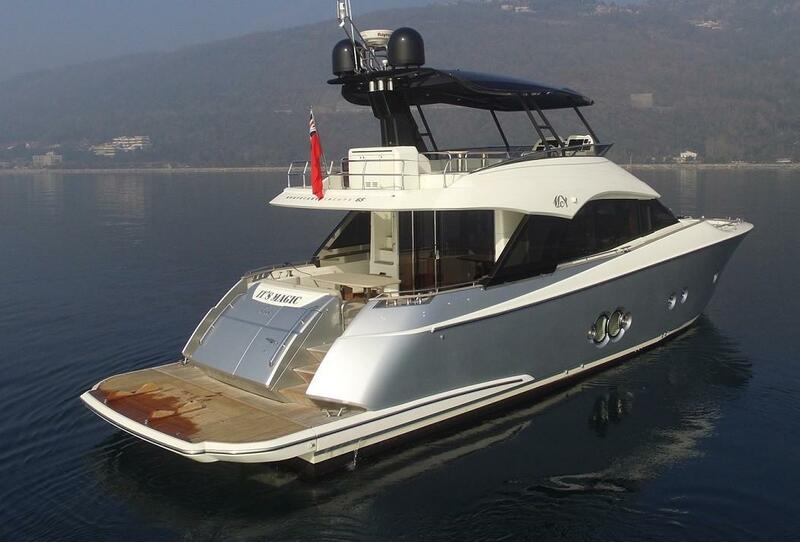 Full inventory including stabilisers, carbon T-Top on the flybridge, stern and bow thrusters, lifting bathing platform, teak decks, air conditioning, generator, watermaker, hydraulic passarelle. 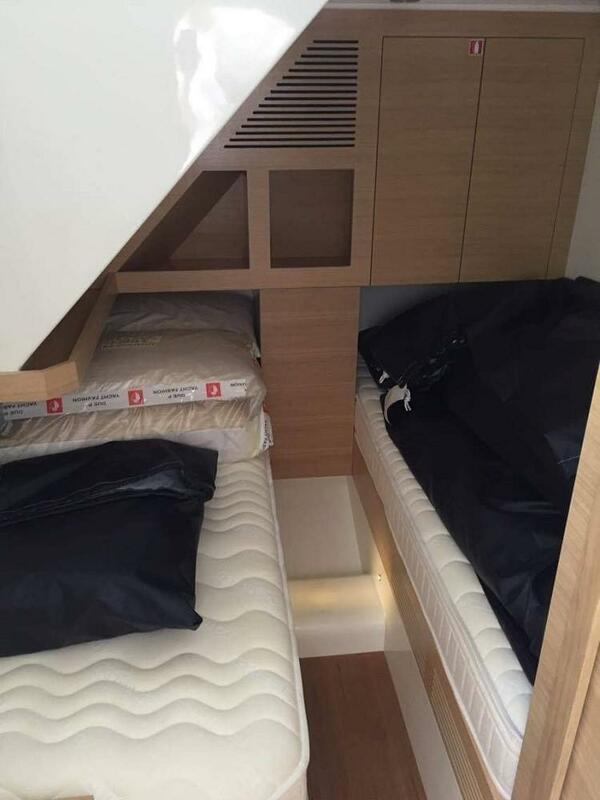 Sleeps 6 guests in 3 double cabins, all en-suite and there is a crew cabin aft with facilities. 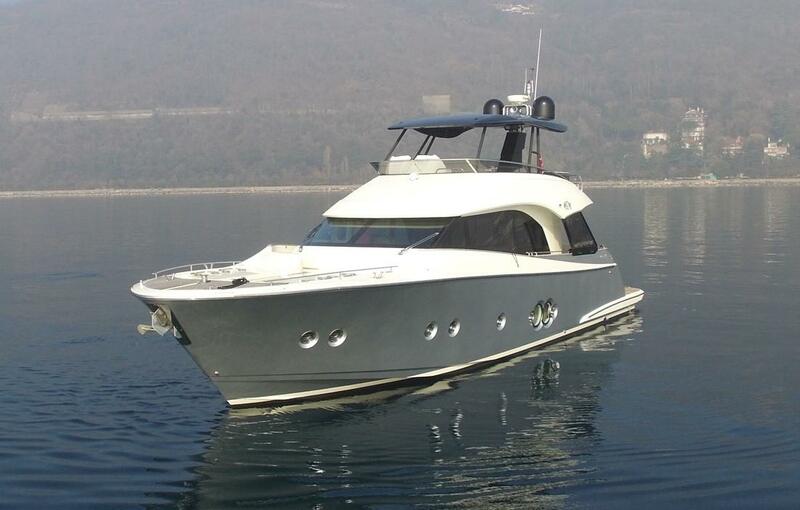 Very spacious accommodation, both internal and external, with a forward deck lounge with seating and sunbathing. Ready to go for the 2019 season, in turnkey condition. 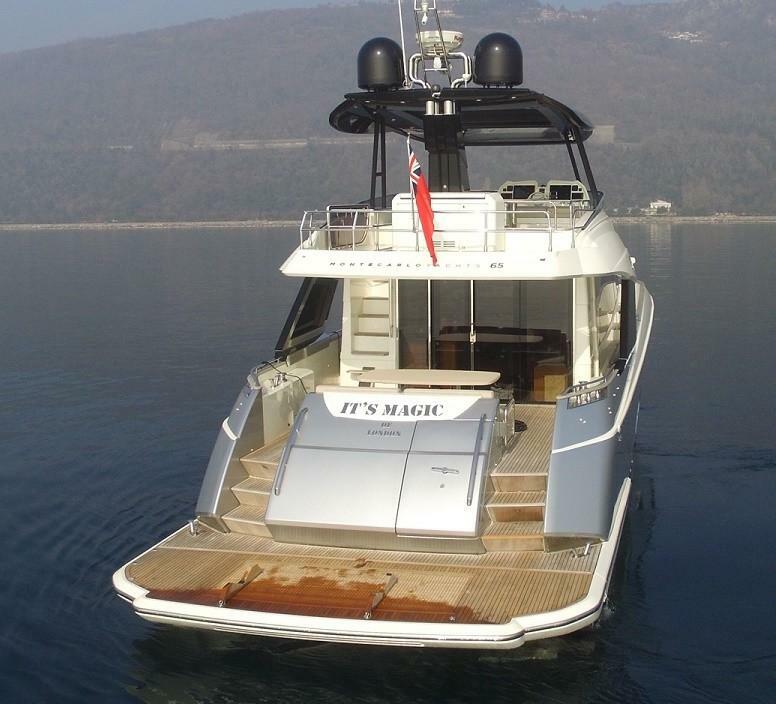 All GRP with teak in cockpit, side decks, bathing platform and flybridge. Teak handrails. Hull painted in silver colour. 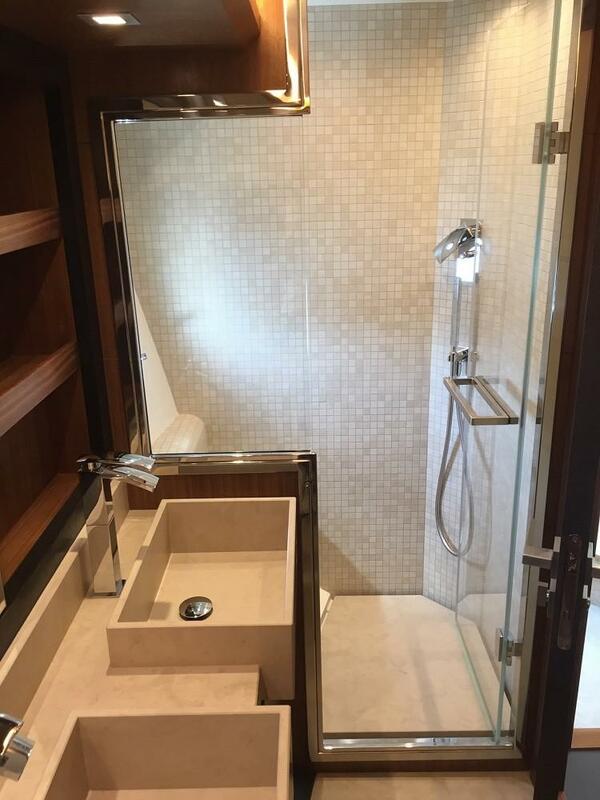 Up/down lifting bathing platform with gross capacity of 600kg. Cradle for tender on bathing platform. TENDER NOT INCLUDED IN SALE. 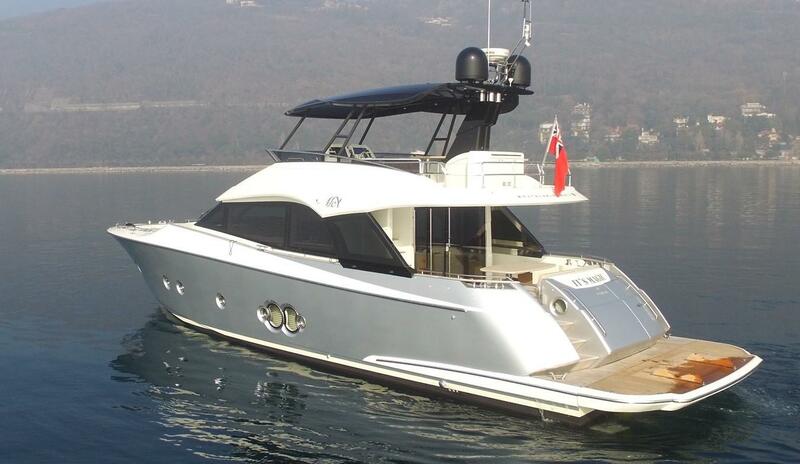 Carbon fibre T-Top on flybridge, with soft sliding top. Semi-automatic electric weathertight door from saloon to starboard sideway. 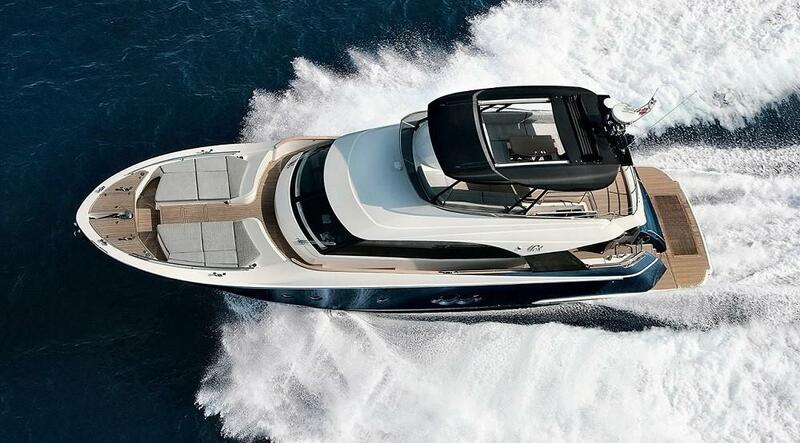 Additional cleats over standard on aft deck and side decks. 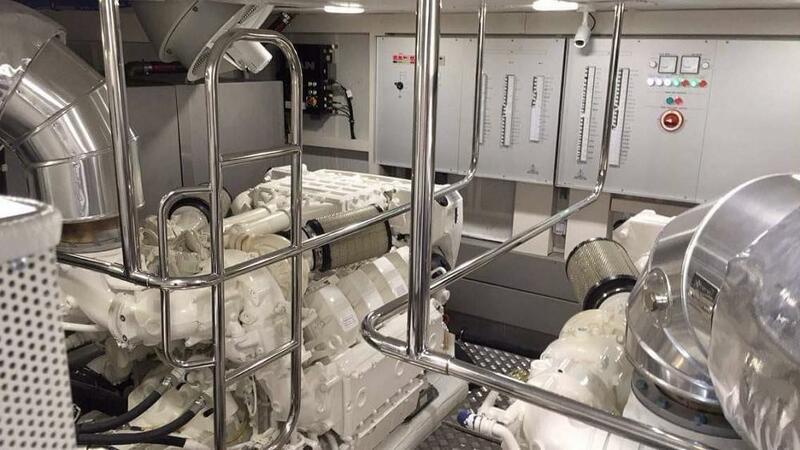 Twin MAN V8 1000hp diesel engines. Engine hours approximately 300 at 12/18. Engines being serviced as part of 2018 winter works, which includes new anti-fouling. Manoeuvring joystick at both helms. 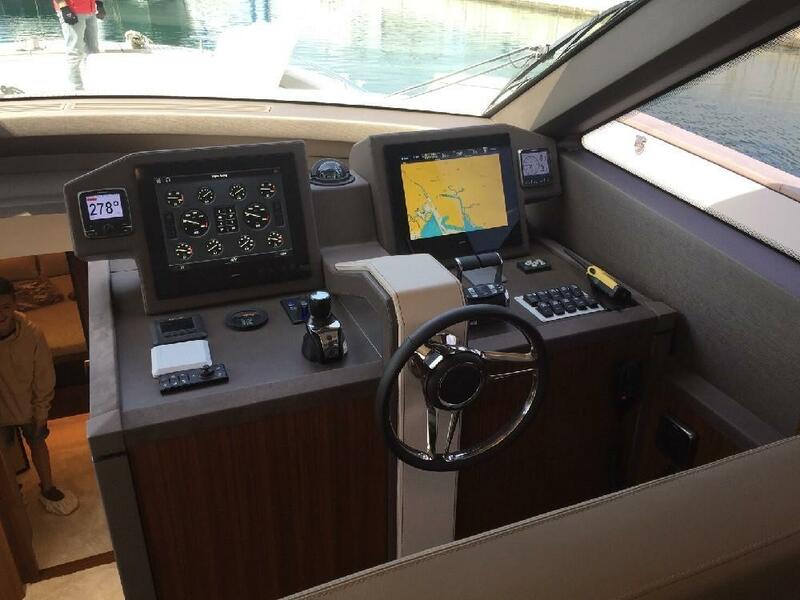 Trim tabs with indicators at both helms. 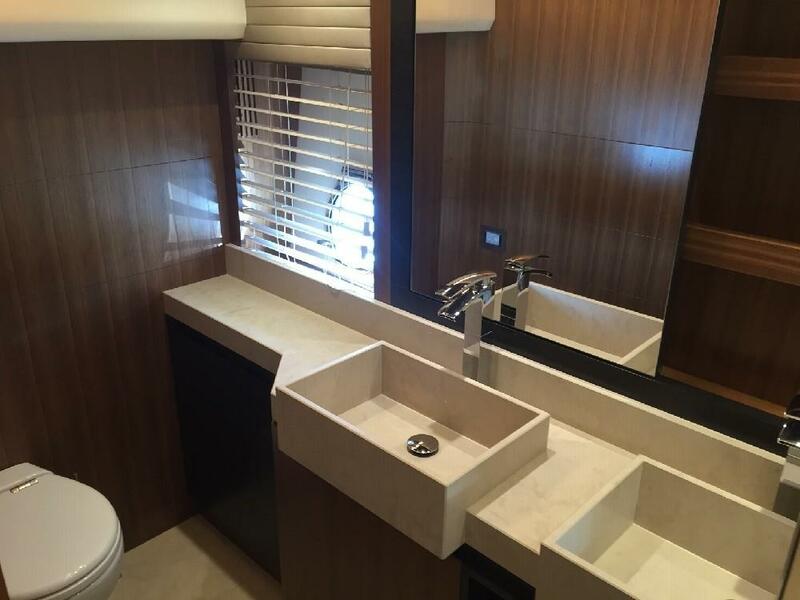 3 cabin layout with upstairs galley. 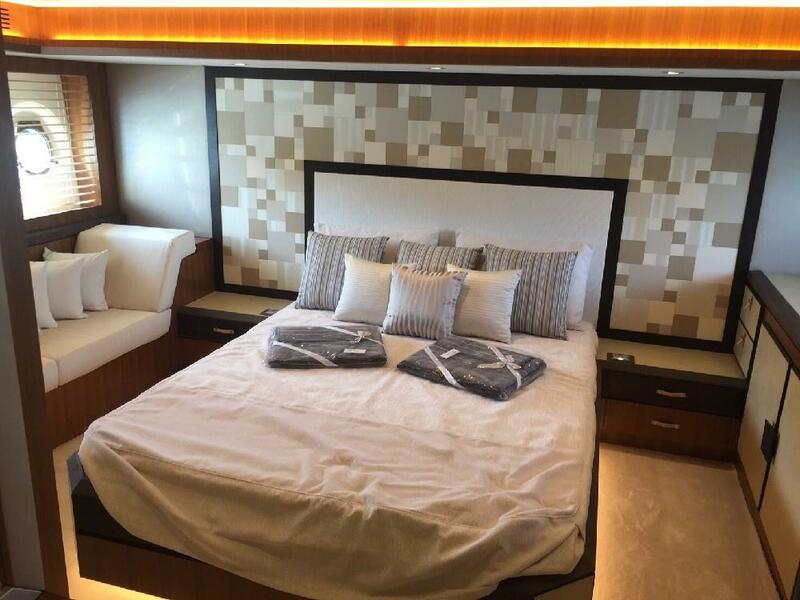 Crew quarters, 1 cabin with 2 berths. 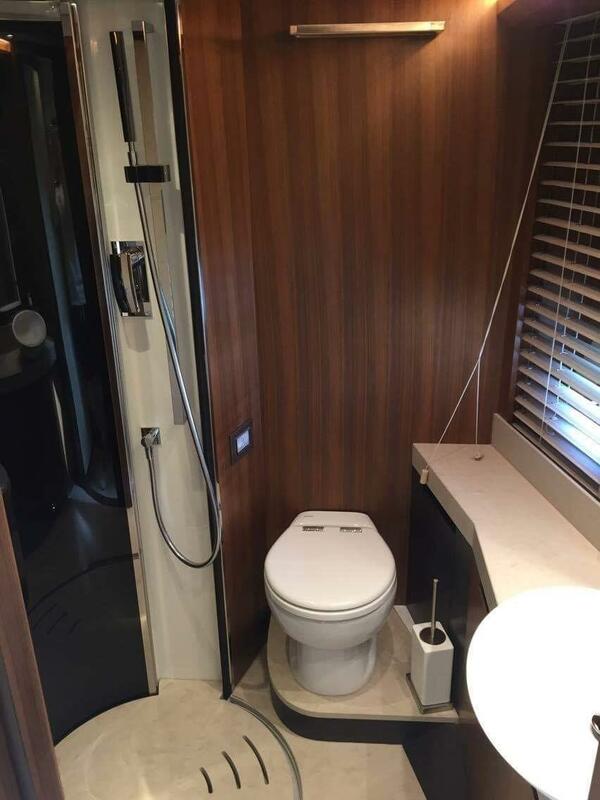 Master cabin amidships, full beam with central berth and large en-suite with WC, twin hand basins and shower. 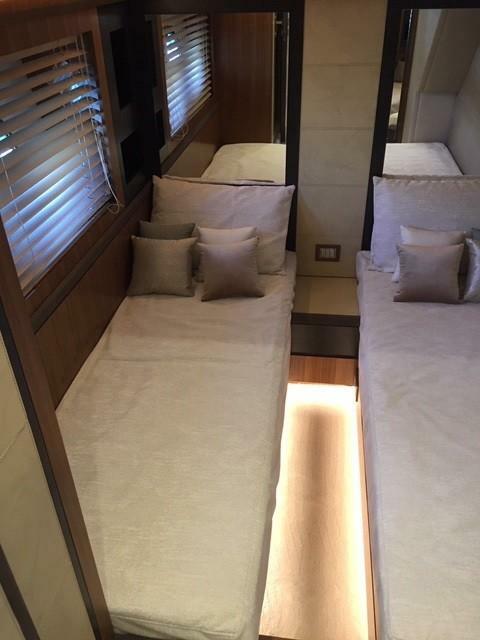 VIP cabin forward with central double, en-suite. 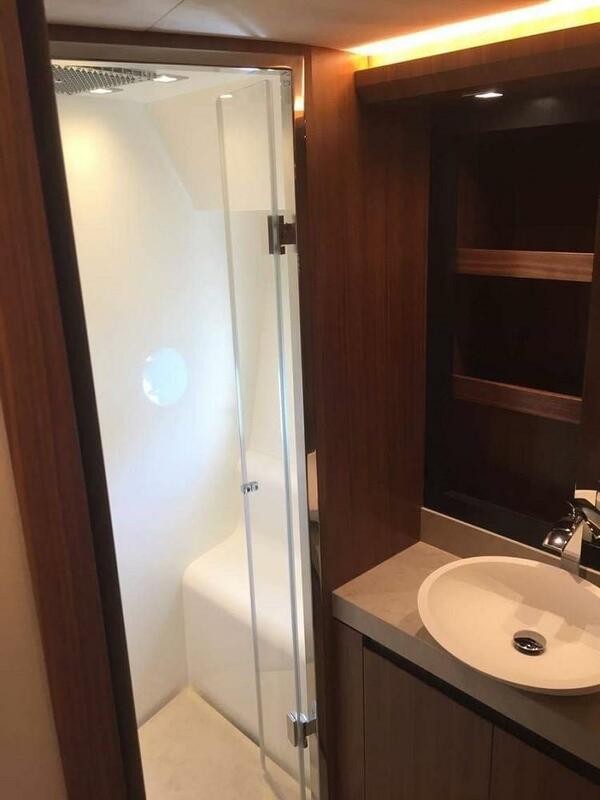 Twin guest cabin to starboard, en-suite. 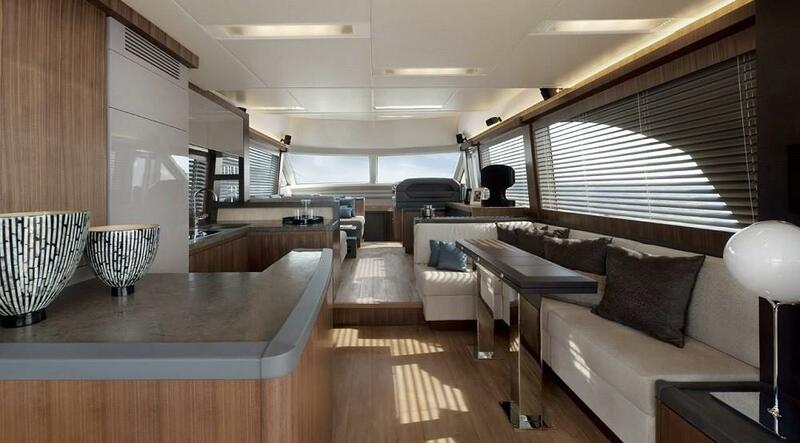 Up steps to spacious saloon with seating around low table forward to port, with lower helm to starboard. 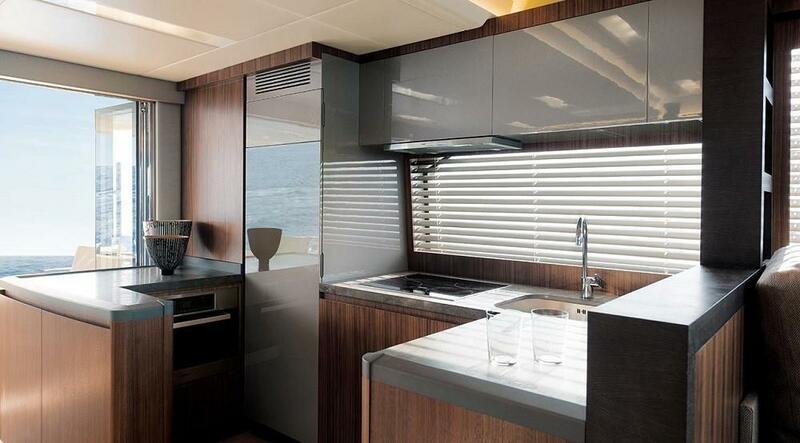 Walking aft with galley to port and dinette with folding table, to starboard. 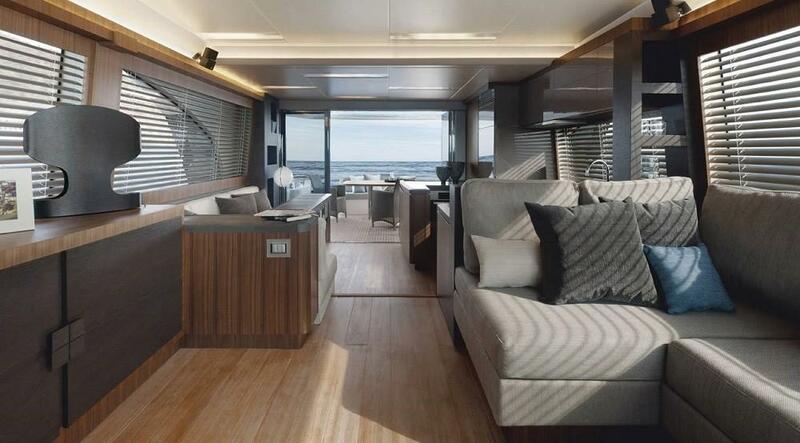 Fold-back doors lead to large aft deck area with fixed seating, table and armchairs. Wood floor in saloon. Steps down port and starboard to bathing platform. 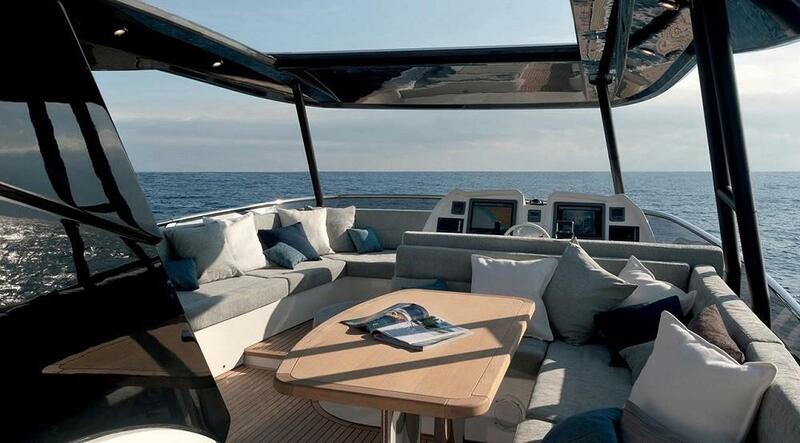 Steps from cockpit (portside) lead up to the flybridge, with generous seating areas, table and upper helm. 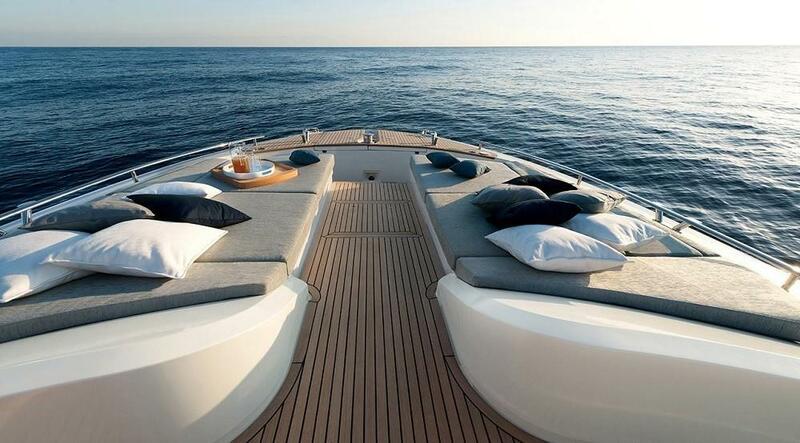 Side desks lead forward to large seating/sunbathing area. Aft access to engine room/crew quarters. 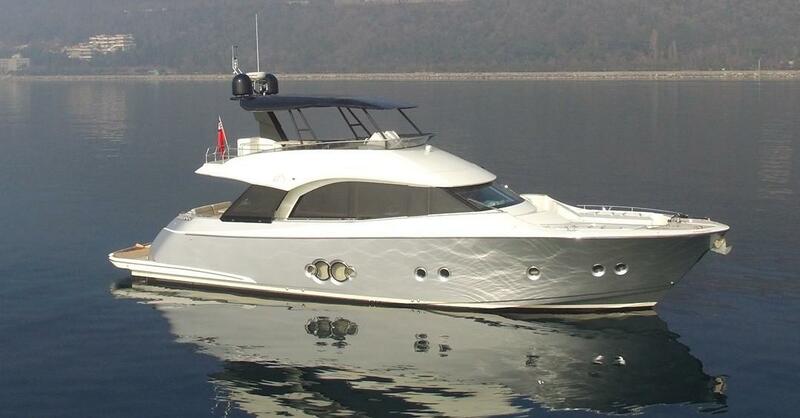 Here we have a fine opportunity to acquire a READY TO GO MCY 65 in AS NEW condition. She has been privately owned since new in 2017. 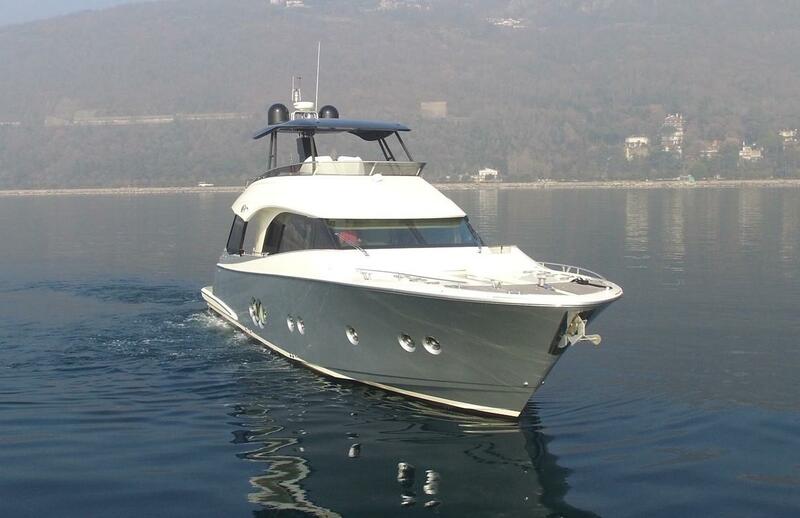 The boat comes with a top specification and a light and airy interior with a neutral feel, that you could make your own. So, no waiting for a new build, go boating! Only for sale as owners trading up. 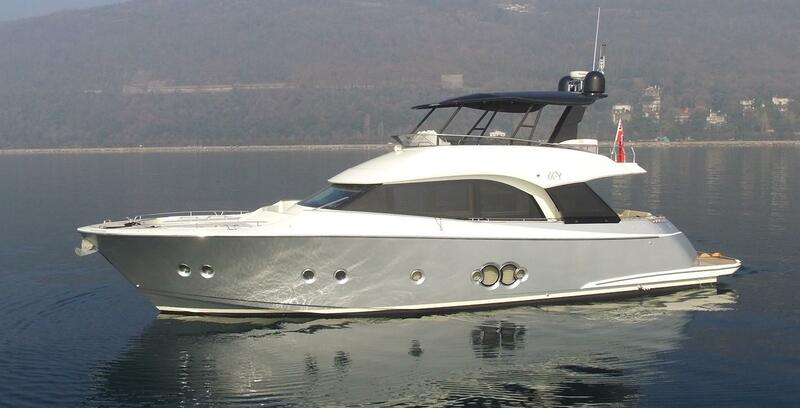 If you would like more information about this Monte Carlo Yachts 65, please get in touch using the contact details below, or alternatively by using the contact form on the right.